You are here: Home / blog / Keywords – what all the fuss? Hopefully you understand the value of knowing your keywords. Those are the words that you want your business to be known for. If folks were to type keywords in the search engine to find you, ideally what would they search for in order to find you? Clearly you can see the value in this, as you want folks to find you, right? 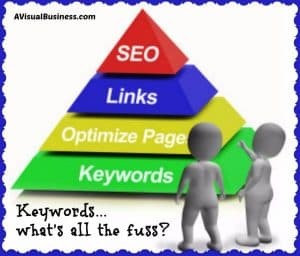 Further, keywords are very important in search engine optimization (SEO) and paid advertising, or pay per click (PPC) ads on Google or other search engines. Keyword rich content is one of the main things search engine marketers use when optimizing a website for search engines – because Content is King. Sounds redundant, huh? Well, hopefully you get the point. Other than keywords, or rather in using keywords, pay attention to links (with keyword anchors (that’s the word that is being linked)), title tags and meta tags, all with keywords in them. Get the idea now? After all, you need to be able to move forward with your plan, so be sure to not get carried away in your research… trust me, it has happened! 🙂 A good brainstorming and researching on tools can provide you with a long list of keywords. If you use a tool, like the Google keyword planner, it will provide you with the volume of searches for that term which can help to determine the popularity. What you need to be careful with is trying to be known for all of the high volume popular keywords, that just is not going to happen. 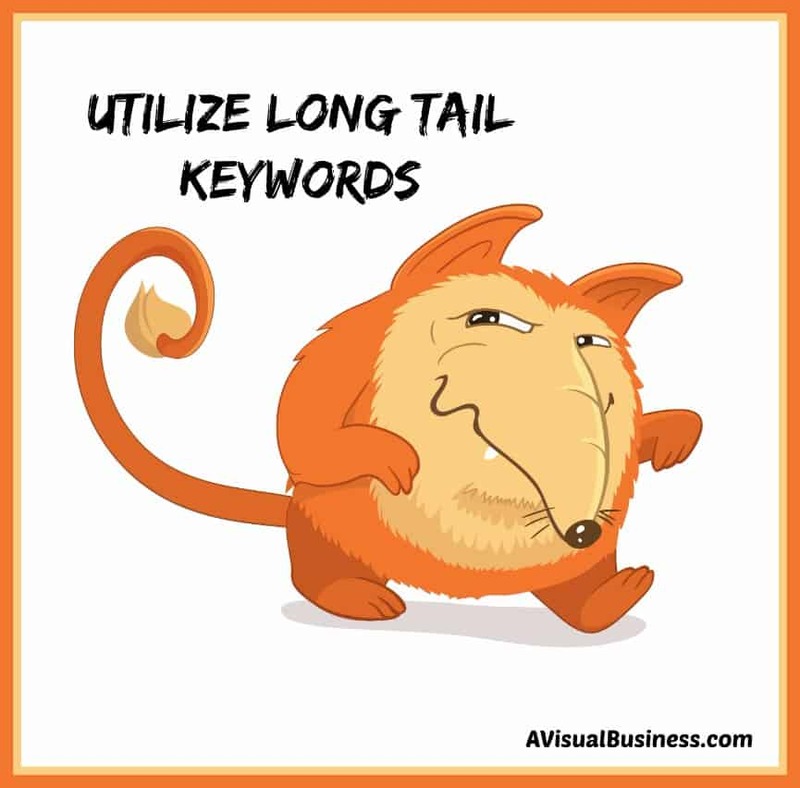 So, drill it down, refine your keywords and then create more specific and longer tail keywords. For example, instead of selecting ‘coach’ as your keyword, trying selecting ‘business coach in palm beach florida’. Also consider the more specific, the less searched but also less popular. But if you aren’t more specific or relevant, you might come up in search for ‘basketball coach’. You may think that might not be so bad, and in organic search, probably not, but in PPC, you don’t want to pay for irrelevant clicks – so now it becomes more important. Remember, you want the right kind of traffic – those are folks that would/could use your services or product. Hopefully this has been helpful for you – that you see the higher value of knowing some low, medium and high keywords; some that are broad, but more than are specific long tail keywords; and that you may not always know the term that consumers are searching, so it is important to do your research. If you need any help, I’d love to help you. Contact me, reach out and ask your questions as I would love to help. Thanks for stopping by! « Can you pass me the Yellow Pages please? Thanks for sharing this Kristin. It’s an effective reminder for me to pay more attention to these. Yes, true… you really do need to keep an eye on it for your industry! Great article. And keywords are vital to be found online! 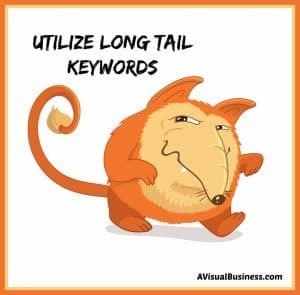 A great article Kristen – and good reminder that it’s easier to focus on the long-tail phrases and rank for those rather than trying to crack the really competitive high level keywords. Also – often the longer tail keyphrases can have more ‘buying intent! That is so true Tanya, because I know if I were to just search a single word keyword, the responses are unlimited, I usually refine my search to longer and more precise. This is a nice presentation of how to choose and use keywords. Thanks. Aw, thank you Beth… glad it was helpful! Yes you do missy! Let me know if I can help! You did a great job explaining keywords. They are so important in practically all that you put online, but especially more so on our blogs. Thanks a bunch for sharing the message! Blogs are SO important for SEO for that reason too, it gives us an opportunity to put new content on our site! Good stuff! I get a little lazy sometimes and forget to be intentional about it. Thanks! I hear that Sheri, especially when it is so involved. A great article on keywords. To be found you got to use them. They’re a headache looking up but in the end it pays off. OH girl… so true… doing the research can be very involved, but so worth it. This is very important. We understand it now! Thanks for the information! I am glad it was understandable for you Yakini.. let me know how I can help. Thanks for the tools to search for keywords. Those can be a little tricky sometimes thanks for simplifying that for us! Yes so true… it can be tricky. Thanks Edmund and well, it is still daunting because I do research for clients and it takes extra time to know more about what they do and be sure I am using the right mix of competitive and good keywords… plus when I am doing research for PPC, it is even more involved. Excellent, let me know if I can be of service… this is what I do every day! Have a #sweet one! Going to give this a shot again! So glad to hear it Stacey… it will be beneficial in the long run!